NEW DECK!! NEW DECK!! We have a new deck!! Sorry for all the yelling but we’re pretty darn excited. With the help of T.L. 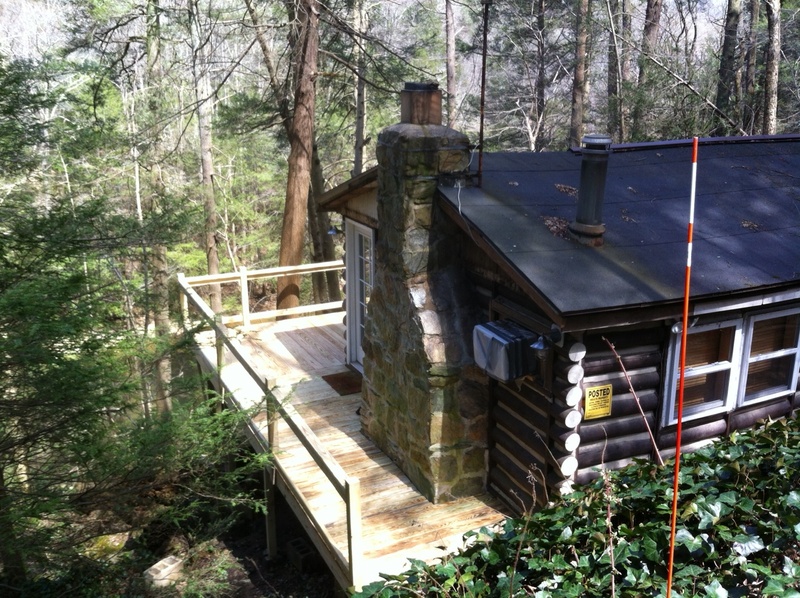 Davenport Builders, the cabin is sporting a brand spanking I can’t believe how pretty, safe, and sturdy deck! Those who were willing to brave the cabin the past 12 months knew the deck rules – no more than three people at one time and don’t stand on the bright orange x’s. Shout out to Delta Lumber for braving the trail!